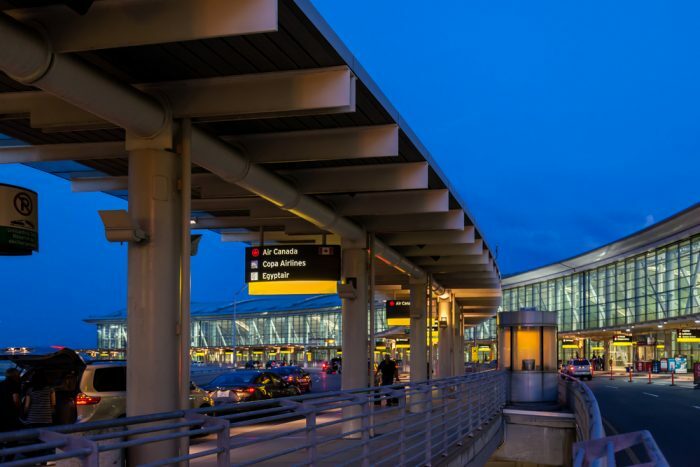 Toronto’s Pearson International Airport’s terminal 3 recently underwent a major overhaul as part of their #ReThinkT3 campaign. Work has finally finished on the rumored $140 million project, with more than 50,000 feet of retail and relaxation space newly developed to serve the ever-increasing number of people who use the terminal every day (it’s estimated that by 2030, 60 million passengers will pass through the airport). If you’ve got a flight coming up, and your gate is in Terminal 3, just what can you expect? If you’ve passed through security and have some time to kill before your flight, terminal 3 has a wide variety of shops to choose from. All the standard airport shops are here, from duty-free stores to international currency exchange. However, the choices are much broader here than they were in the past, with new stores like Bally, featuring top quality footwear, and Lolё, for active wear, now available to travelers. If you need a new phone charger or another essential piece of electronics, The Source has locations both before and after security, while the essentials for your flight can be bought at either 6 + Sundry, or one of the terminal’s Relay stores. Pearson’s terminal 3 has everything you need if you’re looking to kick back between flights and enjoy a good meal. They have it all from fast food, to grab and go, to sit down dining. One of the most popular spots is Smoke’s Burritorie, the perfect thing if you want a filling, quick burrito when crunched for time. Of course, all the usual standbys are there – like Subway, Tim Horton’s, and Starbucks. Even if you haven’t got much time to spare before a flight, there are healthy options like Freshii, which has healthy, nutritious meals-to-go, as well as vegan fare. Authentic Chinese food in a grab-and-go setting can be easily found at Shanghai 360, while the terminal is also well-stocked with bars such as Beerhive, Distillery Bar, and more – as well as Fionn MacCool’s if you want to dig into some classic Irish pub fare in a comfortable setting. If you’re heading to the U.S, but have a little time to kill, why not try the Plaza Premium lounge? It’s open to all passengers, with no membership required. It’s a great place to charge your devices and indulge in a little glamour, with custom breakfasts, drinks, and more. It’s first-class treatment while you’re still on the ground! And, if you’re stressed out about your flight or tired after a connection – take a time-out at Be Relax, for messages, facials and everything you before (or after) a long flight. If that’s a little too rich, don’t worry – terminal 3 has plenty of comfortable seating at your gate, as well as free charging terminals for your smartphones and tablets. For a full list of things to do at Pearson’s terminal 3, consult the Toronto Pearson website. Happy Travels! ← When Is The Best Time To Book A Flight?